Is the survival of the human race still on Phil’s shoulders? Has The Last Man on Earth TV show been cancelled or renewed for a fifth season on FOX? Telly the television vulture is watch all TV cancellation and renewal news, so this page is a dedicated place to track the status of The Last Man on Earth, season five. Bookmark it or subscribe for the latest updates. Remember, the television vulture is watching your shows. Are you? 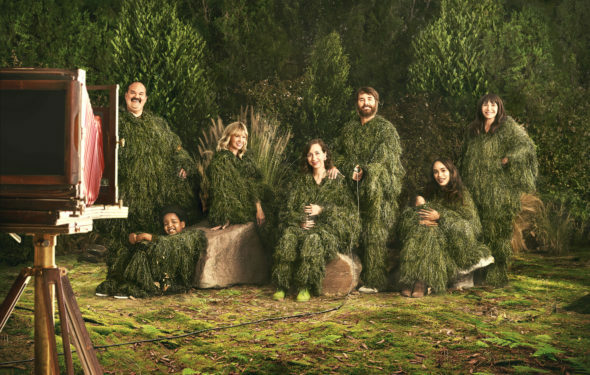 Airing on the FOX television network, The Last Man on Earth stars Will Forte, Kristen Schaal, January Jones, Mel Rodriguez, Mary Steenburgen, and Cleopatra Coleman. After a deadly virus devastates the planet, Phil Tandy Miller (Forte) believes he’s the last human alive. Eventually, he finds other survivors and alternates between misery and elation. In season four, to avoid nuclear fallout, the survivors set sail for Mexico, even though none of them know how to pilot the boat. They also have to squeeze in two new passengers, Pamela (Kristen Wiig) and her dog, Jeremy. The fourth season of The Last Man on Earth averaged a 0.79 rating in the 18-49 demographic and 1.95 million viewers. Compared to season three, that’s down by 11% in the demo and down by 8% in viewership. Find out how The Last Man on Earth stacks up against the other FOX TV shows. The Last Man on Earth has been cancelled so there won’t be a fifth season. Stay tuned for further updates. Wil FOX cancel or renew The Last Man on Earth for season five? Even after the fourth season is in the can, the show’s a little light on episodes for a good sized syndication package. Based on the ratings, I believe a fifth season renewal is in the cards. I’ll keep an eye on the Nielsens and update this page with breaking developments. Subscribe for free updates on any cancellation or renewal news regarding The Last Man on Earth. 5/10/18 update: FOX has cancelled The Last Man on Earth so there won’t be a fifth season. Details here. TV show ratings are still important. Follow The Last Man Standing‘s weekly ups and downs. Check the rankings for current FOX TV shows. Find more The Last Man on Earth TV series news or other FOX TV show news. What do you think? Should The Last Man on Earth TV show have been cancelled? Would you have watched a fifth season of this FOX series? The X-Files: Cancelled or Renewed for Season 12 on FOX? Bob’s Burgers on FOX: Cancelled or Renewed for Season Nine? The Exorcist: Cancelled or Renewed for Season Three on FOX? The Last Man on Earth: Has the FOX TV Series Been Cancelled or Renewed for Season Four? Just finished watching on Hulu. Loved this show. Loved all the characters and story lines. Funniest episodes were with Fred Armistead. I will miss this show. I could watch a couple of episodes after a bad day and actually feel better. I hope one of the streaming channels picks it back up. had just started watching last man on earth via hulu. What a surprise! My wife and i could not stop watching. Had never seen this show before, saw some ads in May 2018 but nothing that really got a hold of us. Funny funny show, with some really strange characters. Canceling this show is no doubt a big mistake. Bring it back along with the same characters. FOX is what should be cancelled! If they’re dumb enough to cancel last man on earth, they have no business even being a network!! They’ve cancelled some of the best shows I’ve ever seen and last man is my favorite. REDICULOUS! And pick it up like Brooklyn 911 some networks never learn. You can’t stop good comedy. I loved season one and could not wait to watch more, I did not hardly ever see advertising for it and did not know they continued on after season 2, I recently saw that there were 4 seasons on hulu and am in the 4th season now. I love this show and hope that hulu or netflix picks it up for a season 5 to end the show, I think it is one of the funniest shows out there. PLEASE rerun Last Man on Earth seasons 1-4 so other people may discover how freaking great this show is. I recently discovered this show and bought all 4 seasons for $100 bucks and binge-watched with my wife. Best $100 we have ever spent. I then turned all my friends on to it at work and their all freaking HOOKED. This is without a doubt the most unique, well written comedy drama ever. PLEASE GOD PLEASE BRING BACK THE LAST MAN ON EARTH!!!!!! We wait on the edge of our seat for the next episode!!! This show is AMAZING!!! My son says he will no longer be able to live if they end this show. I can’t say I’m far behind him! This show is so unique & so very f*cking funny. PLEASE PLEASE PLEASE DO NOT DO THIS!!! Please make more seasons! Why do you always cancel the BEST SERIES???? What is wrong with you people????? Please do a season 5. Love last man on earth. NO ITI SHOULDNT BE CANCELLED!! wth!!! I WANT TO SEE A FIFTH SEASON I LOVE THAT SHOW!!! Please renew for a season 5 and 6 and 7! Please, please, please let there be a season 5 of The Last Man on Earth!!!! I am dying to know what’s going to happen with all the people from the underground bunker. I need Mike to know he was right all along so he doesn’t have to search anymore away from his brother and friends! Please I’m going to be so sad if that was it! Biggest cliffhanger on a show ever and I’m hating it! BRING ON SEASON 5!!!!!!! The way I see it, it’s a real shame that shows that try to be different get canned but yet reality TV is non stop. It’s one thing to plan the end of a show but to end it with the most interesting and original cliffhanger in a long time is very sad. Honestly, it would be amazing if people would not watch a network anymore after they do these things to show them that you can’t get people invested in a show just to end it that way. Shame on you for not caring about your viewers. YES bring on season 5 please. I have been watching since the first episode and i love it! !